According to the 2015/2016 Global Entrepreneurship Monitor released in February, the majority of entrepreneurs worldwide are fuelled by opportunity rather than necessity. They make up 78 per cent of those in innovation-driven economies, and 69 per cent in efficiency-driven economies. The Lebanon is a good example. A country with a population of around four and a half million, you could fit it into London twice. Its capital, Beirut, was once dubbed the Paris of the Middle East, but years of civil war and conflict have taken their toll on its infrastructure, economy and of course its people. 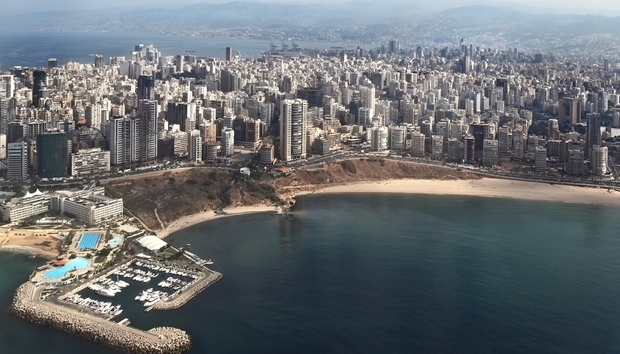 Yet out of the backdrop of geopolitical turmoil, Lebanon has forged an emerging tech scene. The GEM report ranks Lebanon highly when it comes to entrepreneurial education at school age (sixth) and cultural and social norms of entrepreneurship (third – behind Israel and the US). It’s regarded as an efficiency-driven rather than an innovation-driven economy, a bit like China and Brazil, yet it is trying to change, to innovate, through technology. Join the queue. So what will make Lebanon different from other regions also vying for a slice of the international tech pie? According to Nadim Zaazaa, director of the UK Lebanon Tech Hub – a joint Banque Du Liban and UK Government initiative – there has been “a quantum leap” in the number of tech start-ups in Lebanon since 2013. He suggests there is a hunger to innovate and develop businesses but these businesses lack nous when it comes to breaking into international markets. The GEM report backs this up. The country has a low fear of failure when it comes to starting new businesses but its local entrepreneurial infrastructures lack depth and experience. The UK Lebanon Tech Hub has been developed to help solve this issue. Zaazaa says that the idea is “to find ways to get people working with Lebanese start-ups and software development companies without having to deal with the risks of being in Lebanon.” Innovation, he says, can help circumvent the risks. There is of course some sense in that. Lebanon borders Syria and unsurprisingly is a medium-to-high risk region for security, at least according to Controls Risks’ RiskMap. A lot of people are leaving and Zaazaa admits there is a brain drain that needs addressing. “The program aims to reverse the trend where over 90 per cent of Lebanese live abroad – a diaspora estimated at around 14 million – and bring entrepreneurial talent back to the country, developing the region’s own Silicon Valley,” says a statement from the UK Lebanon Tech Hub. Essentially, the hub is looking to internationalise its resident start-ups through exposure to customers and rivals outside of the Middle East, to help grow local companies and stem the flow of talented people leaving the country. No one is doubting the opportunity and reasoning for Lebanon but what’s in it for the UK? “Lebanon is trying to position itself as the tech hub to the Arab world, a portal between the Middle East and the UK, Europe and the US,” adds Zaazaa. That’s great if the Middle East is on the sales map of UK businesses. While Zaazaa says UK start-ups are already showing interest in breaking into the Middle East through Lebanon, it’s difficult to see how this could become a major player in the region given its political and social instability. Both Dubai and Abu Dhabi are also strong competition, with organisations such as Menascapes creating links between Silicon Valley and the Middle East, for example. But this is really not Zaazaa’s problem. It is for the UK government to sort out its role in this relationship and ensure tangible returns. Zaazaa’s performance indicators do not concern how many UK businesses go the other way because he knows it is highly unlikely that any UK firm will open anything in Lebanon. He has to help nurture business for Lebanese start-ups, create jobs in his native country and increase the contribution of the technology sector to the country’s recovering GDP. Is the UK Lebanon Tech Hub on the road to achieving its goal? The project is currently at phase two of its plan after participants sifted through 141 applicants last year to find 45 businesses to put through a four-month accelerator programme. Twenty-six companies have since been chosen for phase two, with 15 going to the London hub and 11 staying in Beirut. There have been some relatively small successes in the past couple of years for Lebanon with four exits already, according to Zaazaa, including Shahiya, a recipe platform acquired by Cookpad in Japan for $13.5m. Replicating this won’t be easy and Zaazaa appreciates that having a good idea is only half the battle. Businesses need to scale. Looking down the list of start-ups though it’s easy to see why innovation is not really an issue. From a lighter that tells your friends how many cigarettes you’ve had to a mobile game inspired by the Arab Spring and from a cardiac monitor that alerts your doctor if you need to go to hospital to a tuner that leaves your guitar gig-ready in seconds and an air sampler that connects to your smartphone advising you on how to avoid allergies, there are plenty of ideas to work with. Perhaps this is where the hub can teach the UK a thing or two, given the often me-too stale ideas we’ve seen come out of UK tech hubs in recent years.